Funds are sufficient in the FY2008 Budget and the FY2008-2011 Financial Plan to enter into the proposed partnership agreement with Specialty Hospitals of America ("SHA"), as contemplated by the East of the River Hospital Revitalization Emergency Act of 2007 ("Act"). The Act allocated $79 million from the Community Health Care Financing Fund1 to support the proposed public-private partnership ("Partnership") that would invest in the Greater Southeast Community Hospital ("Hospital"). 2. Financial Viability of Hospital Operations. The five-year operating plan provided by SHA does not include sufficient detail to ensure that the Hospital will be financially successful. In addition, the District will have limited control over the $20 million Working Capital loan. Should the business plan fail, it is likely that additional funds of substantial amounts will be needed to keep the Hospital running. 3. Security of Loan Repayment. The District would hold a first lien on the Hospital site and current improvements to secure its investment. However, it will be necessary to partially release the lien in order to allow future development of the Hospital site. In summary, although funds are sufficient to make the capital investment contemplated by the resolution, the full cost to maintain a viable hospital may be considerably more due to these three concerns. 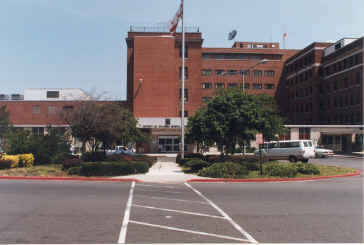 The Act authorizes the District to enter into a limited partnership with Specialty Hospital of Washington-GSE Holdings, LLC, a subsidiary of SHA, to support the only acute care hospital east of the Anacostia River, which represents a critical part of the health care infrastructure for more than 140,000 residents in Wards 7 and 8. The District will provide $79 million to the Partnership, which will, in turn, make loans to CMC Realty, LLC and Capitol Medical Center, LLC (both newly created subsidiaries of SHA) for the purchase of the Greater Southeast Community Hospital and its site, for the purchase of capital equipment, and to provide working capital for Hospital operations. CMC Realty will own the 17-acre site and on-site improvements. Capitol Medical Center will own all other assets of the Hospital including supplies, equipment, contracts, licenses, personnel and other business operations. CMC Realty receives $30 million in grants to fund capital equipment and renovations to the physical plant. The District will receive 50 percent of the gain (net of the Hospital's initial purchase cost) from any sale of the Hospital. The agreement does not define the base from which to calculate a future gain from the sale. Capitol Medical Center will receive $20 million in loans (called the Working Capital Loan) to fund working capital. This loan will be repaid to the Partnership interest-free from the Hospital's operating profit over a 10-year period at a rate of $2 million per year. Capitol Medical Center and CMC Realty will split $29 million (called Acquisition Loan) for the acquisition of the Hospital and its site, including paying off notes of creditors of the Hospital's current owners. This outlay will be repaid to the Partnership without interest from payments equivalent to the real property taxes on the 17-acre Hospital site. In return, CMC Realty will maintain and improve the Hospital building, and the Capitol Medical Center will make the necessary investment in Hospital operations to ensure that the Hospital will have at least 150 short-term acute care beds, provide OB/GYN Services, offer a round-the-clock emergency service that will operate, by January 1, 2011, at Emergency Room Drop Time rates that are at or below the DC monthly averages for the previous year. The Hospital will also achieve full accreditation by January 1, 2009, and will improve its operations to meet the national averages on a number of Joint Commission performance measures, as specified in the agreement. Funds are sufficient in the FY2008 Budget and the FY2008-2011 Financial Plan to implement the proposed resolution. However, three concerns may impact the District's Budget and Financial Plan in the form of ongoing support that may become necessary to maintain a viable hospital. The five-year operating plan provided by SHA does not include sufficient detail to evaluate whether the proposed operating model can be realized and the Hospital will be viable. In addition, the District will have limited control over the $20 million Working Capital Loan. Should the business plan fail, it is likely that additional funds of substantial amounts will be needed to keep the Hospital running. According to the SHA operating model, the financial success of the Hospital under Capitol Medical Center ownership depends upon receiving licenses for up to 150 skilled nursing facility (SNF) beds, additional long-term acute care hospital (LTACH) beds, and increasing the Medicaid rates for skilled nursing facility patients at the site. The Federal Government currently prohibits a single entity from owning and operating both shortterm and long-term acute care hospital beds in the same facility. This prohibition increases the risk that additional funds will be needed to keep the Hospital running. It is unclear that either the $20 million Working Capital Loan or the $29 million Acquisition Loan can be repaid based on the financial plan of the Hospital. Repayment of the $20 million will depend on the profitability of the Hospital operations. The $29 million loan is to be repaid solely from site-specific taxes. The FY 2008 total assessed value of the Hospital and the 17-acre site is approximately $65 million; however, payments are required only on the land portion and any future improvements. The land portion alone is assessed at approximately $9.9 million, which would result in an initial payment of approximately $183,000. If received, this payment would be far below the $967,000 annual payment necessary to repay the $29 million loan. The underlying land value of the Hospital will be reviewed annually as part of the Districtwide real property reassessment process and will be adjusted as market conditions warrant. However, the site would need to be substantially developed in order for the land value and future improvements to result in payments sufficient to repay the $29 million Acquisition Loan. In addition, the loan is structured such that a portion will be repaid by CMC Realty and a portion by Capitol Medical Center. CMC Realty intends to sell parts of the 17-acre site for future development once the District's lien is removed. To the extent that CMC Realty repays its portion of the Acquisition Loan but Capitol Medical Center does not, the District is at risk that CMC Realty will sell the underlying security behind the original loan. The District retains indirect control over the future development of the 17-acre site through its lien on the property, which the District may or may not release in its sole and absolute discretion. In order for the District's $29 million investment to be repaid, the site must be developed in a manner to assure that payments are optimized prior to the District releasing its lien. For example, granting a partial release of the District's lien on the undeveloped portion of the hospital land, combined with allowing ownership of the Hospital operations to be separated from ownership of the real estate, places the District at a disadvantage in the event that the Hospital operating entity is forced into bankruptcy. 1n such a bankruptcy, the District would be an unsecured creditor of a debtor that has limited tangible assets. Finally, we have no information at this time on the relationship between the realty company and the hospital operations. Without information on the lease arrangement, we cannot comment on how the lease will impact the operations of the Hospital. 1. To maintain tax-exempt status, Federal regulations require that the tobacco bond proceeds in the Community Health Care Financing Fund only be used for capital projects of the District. Therefore, to the extent that it is necessary, the tobacco bond proceeds will be used to make available Pay-Go Capital funds to support the Partnership. Approval of a reprogramming is necessary to allow the District to make all payments associated with its agreement with SHA.